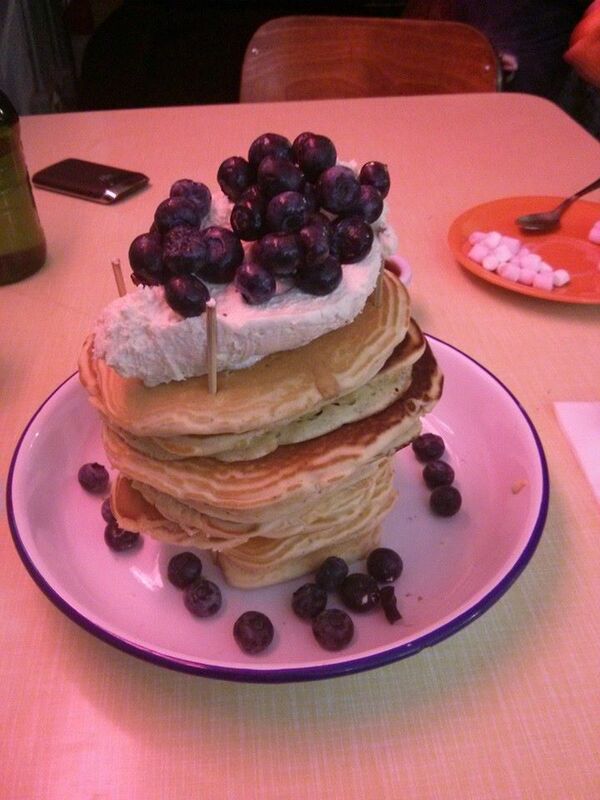 It’s Pancake Day! Rejoice! Finally, we can give these simple floury, eggy, milky creations the full appreciation they deserve. 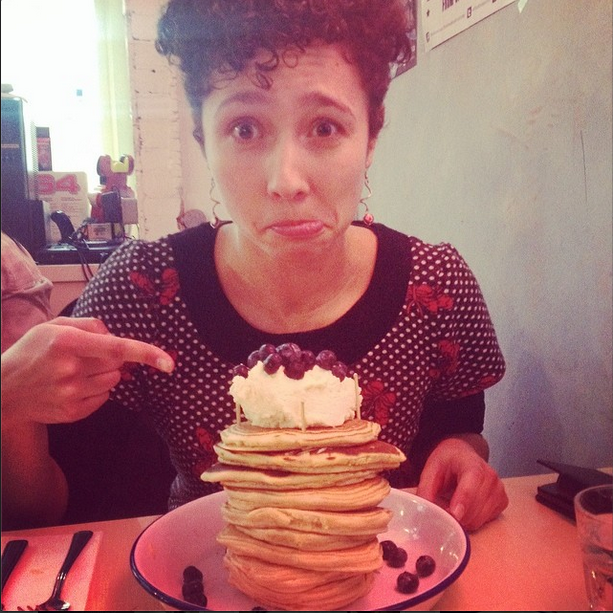 Why then, am I looking so anxious at the giant stack of pancakes in front of me? Because I had to eat them ALL in 15 minutes – that’s why. Every Mardi Gras, The Breakfast Club really does take the day at it’s literal meaning – ‘Fat Tuesday’ – and presents customers with an ego-massaging, or ego-destroying, Man V Food eating competition. The rules are as simple as the ingredients: eat all the pancakes within the time limit and pay nothing; fail and pay £17.50 to Rays of Sunshine children’s charity (so basically, it’s a win-win situation). 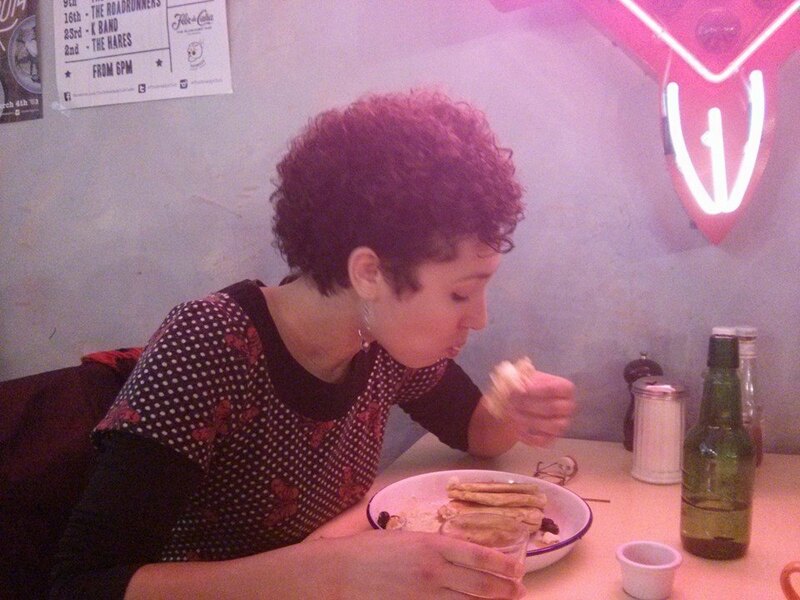 Last year, I wolfed down 12 pancakes in 20 minutes, earning myself some applause and this wonderful footage of me gagging bravely struggling. 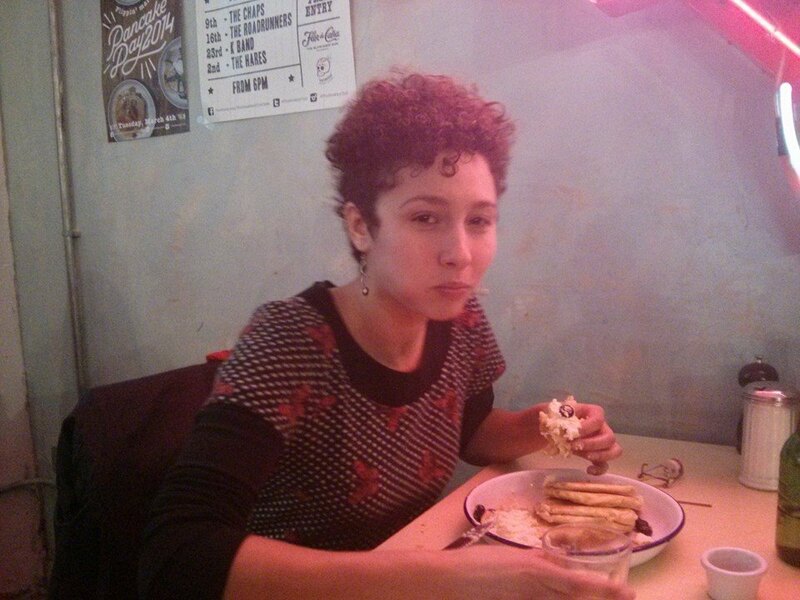 This year, the challenge was tougher: just 15 minutes for 12 pancakes. And they were definitely bigger and eggier than before. I knew before I started that defeat lay ahead of me, but how much did I enjoy getting dirty?! By ten minutes in, I settled for defeat. Quantity was not the problem so much as sweetness and dryness, and swallowing pancakes mixed with water was not agreeing with my stomach. By taking the sensible decision to quit, I a) didn’t feel ill all afternoon and b) got to take away what I didn’t finish – win! Pancake Day is lasting that bit longer for me and I’m looking forward to breakfast! Next British Pie Week: Hello healthy pies from Pieminister!